So, after sailing close to the wind and veering so dangerously to missing the vintage highlight event of the year, I must confess to feeling more than a little flustered. 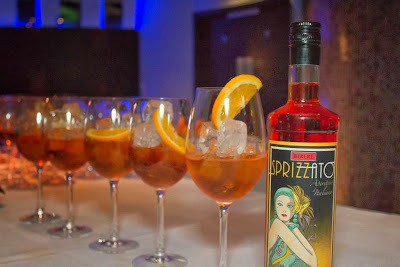 Thankfully, the famed mixologist, The Drinks Enthusiast greeted our arrival with a specially concocted Sprizzato cocktail. It tasted just the ticket and certainly assisted in the elimination of those pre-award nerves. After looking adversity in the eye, we were soon seated and looking a room full of glamorous ladies and gentlemen in the eye instead. 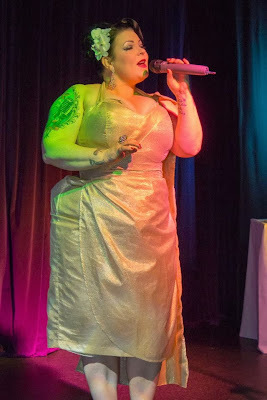 Before the awards were announced, we were entertained by the hostess with the mostess, Miss Kiki deVille who appeared on stage and to rapturous applause wearing just a dressing gown. Teasing the mesmerised audience as a raunchy tune played out, she revealed a fabulous dress underneath, which struggled to contain her ample charms. A most charming lady indeed. Ladies and gentleman, Miss Kiki deVille! This was followed by the first dose of Burlesque of the evening, in the shapely form of Miss Suzie Sequin. It was a wonderful way to spend a Wednesday evening, it certainly makes a dashing alternative to my usual midweek ‘escapades’. 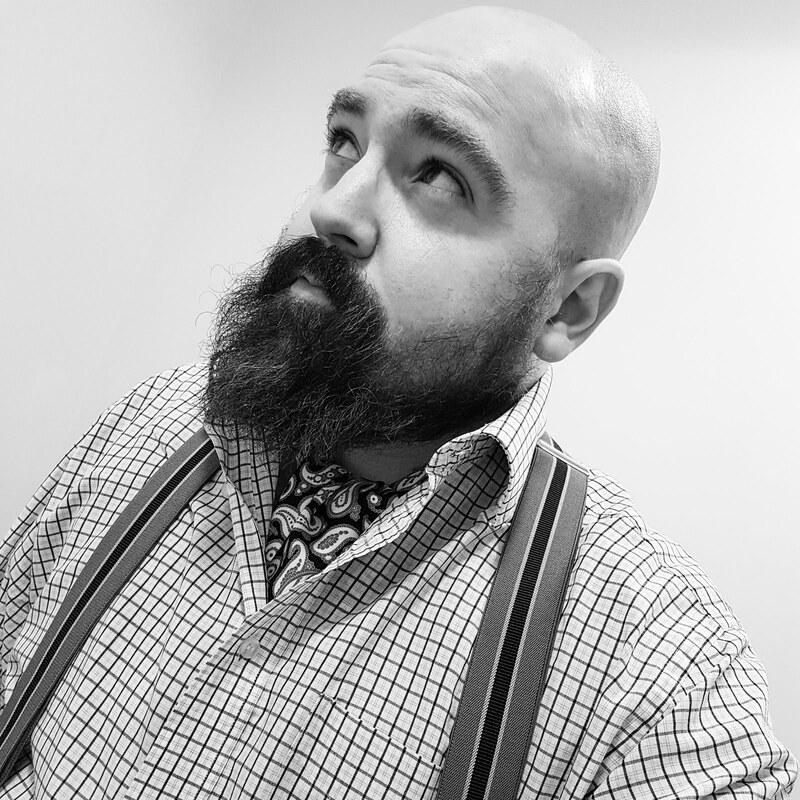 The event provided me with a glorious opportunity to meet lots of lovely people – some who I have already had the pleasure of meeting before, a number of people that I have previously conversed with on the Twittering Device and a collection of stunning strangers. 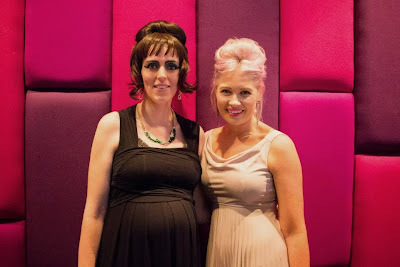 It was particularly pleasing to have a chance to chinwag with the two finalists sharing my Best Vintage Lifestyle Blog category, the lovely Helen off of Mancunian Vintage and Miss Bamboo herself. 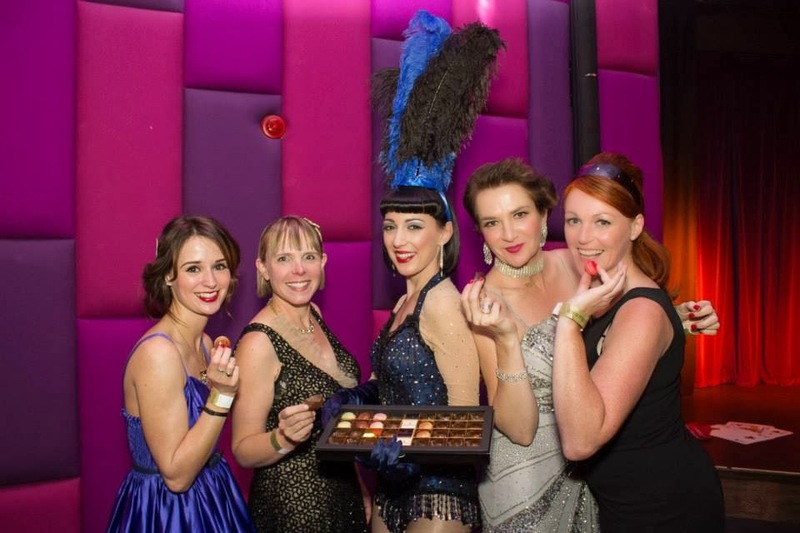 Quenching one’s parched throat with a cocktail and scoffing delicious Drop Dead Chocolates glamorously given out by sultry showgirl, Laura Norrey, the event was quickly turning into the kind of party that Gatsby would have been proud of. 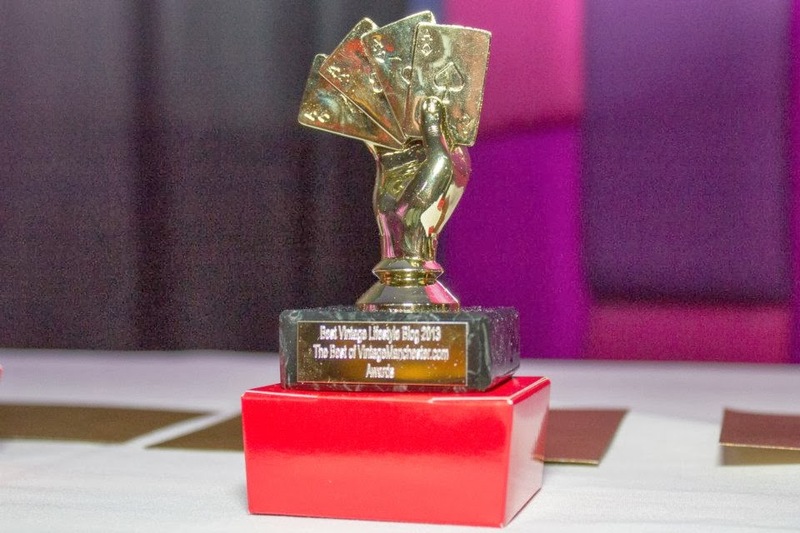 By the time the awards were announced, it was the icing on a truly delectable cake. 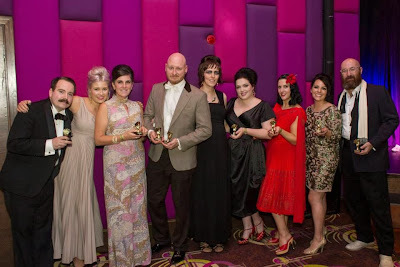 When my category was up, it was a real hand in heart moment so I was humbled to discover that this very periodical had snatched victory to be crowned the best vintage blog in Manchester. Seated at the back of the Vega Lounge, I made my way to the stage to receive my award. As the kind of chap who has previous form for holding a microphone, I took full advantage while I had the floor and gave a special thank you to my amazing beloved. Without the support, encouragement and advice that I receive on a daily basis, this periodical would never see the light of day. The evening’s entertainment ended with a steamy performance by Burlesque sensation, Ginger La Rouge, which culminated in her writhing inside a giant glass of champagne. Simply wonderful! Bravo to Susan Earlam (of Old Fashioned Susie fame and Editor of VintageManchester.com) and Rachael Adams (The Social Butterfly) for organising such a sensational soiree. 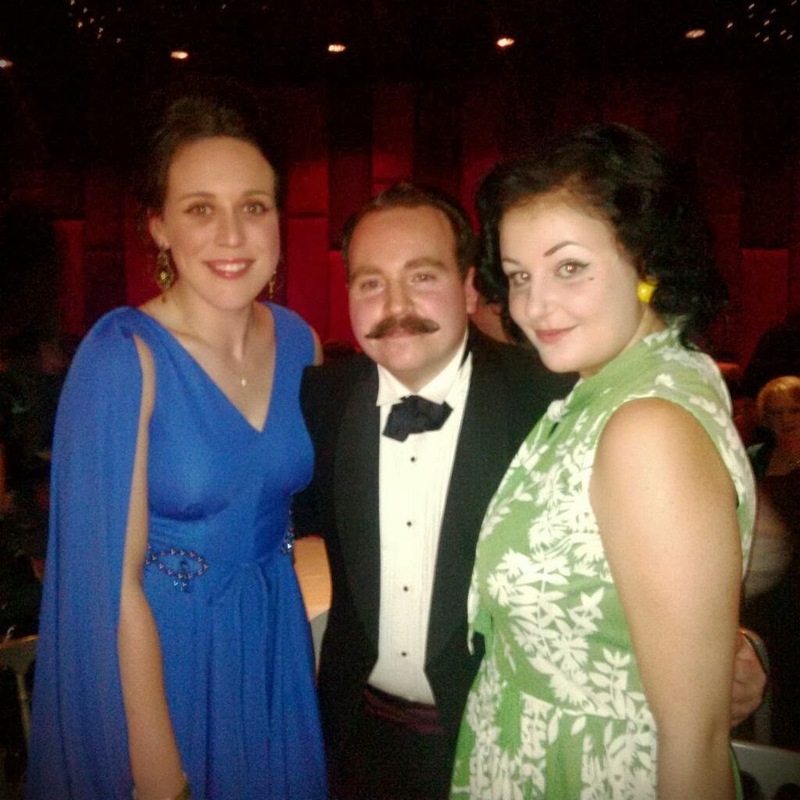 It was an honour to be among the thirty finalists, all of whom are magnificent. Hearty congratulations to the winners of the other nine categories. The list of finalists and the eventual winners are listed below for your viewing pleasure. A heartfelt thanks to everybody that both nominated and voted for Norton of Morton. 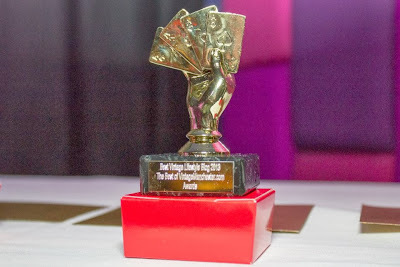 It is quite surreal to have won an award and I am an extremely proud protagonist. 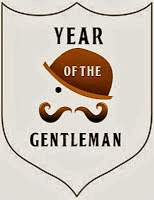 If you did vote for my periodical then it was a vote for chivalry, moustaches and tweed so thank you. 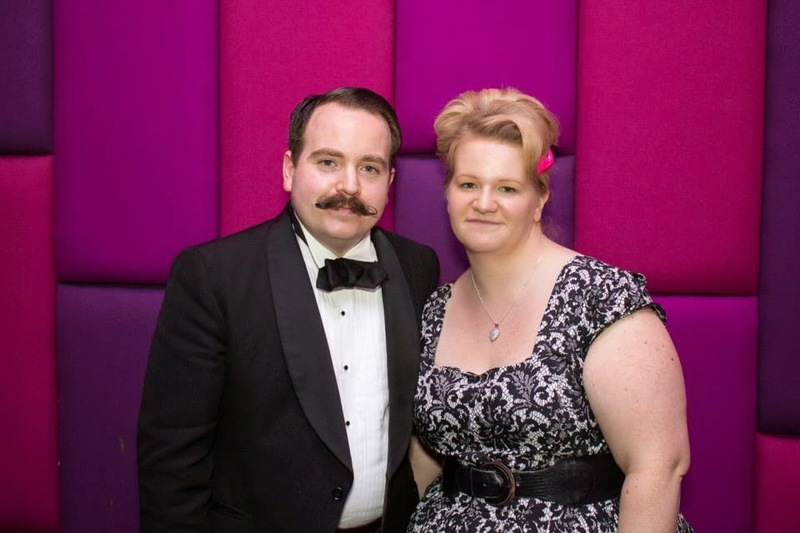 All pictorials (except one) courtesy of the super talented Gareth Davies Photography. Sir, I tip my hat to you for capturing an unforgettable evening.